New York: Charles Scribner's Sons, 1922. Very Good. 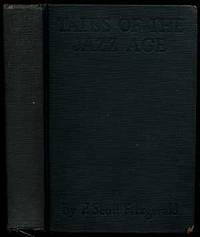 First edition, presumed third issue, with "and" for "an" at page 232, line 6. Small bookstore label and small paper remnant, both on the front pastedown, spine lettering dull, else sound and very good plus, lacking the dustwrapper.